"This is simply a guidebook," says Alex. She wrote the guide based on her own love experiences adn shares some witty but lovable quotes that can sometimes sound as brutally honest. Dear Alex, We're Dating explores the different stages of dating. This humorous book includes practical and downright funny love anecdotes from Alex' daddy Bonoy, mommy Pinty, and of course, her ate Toni. 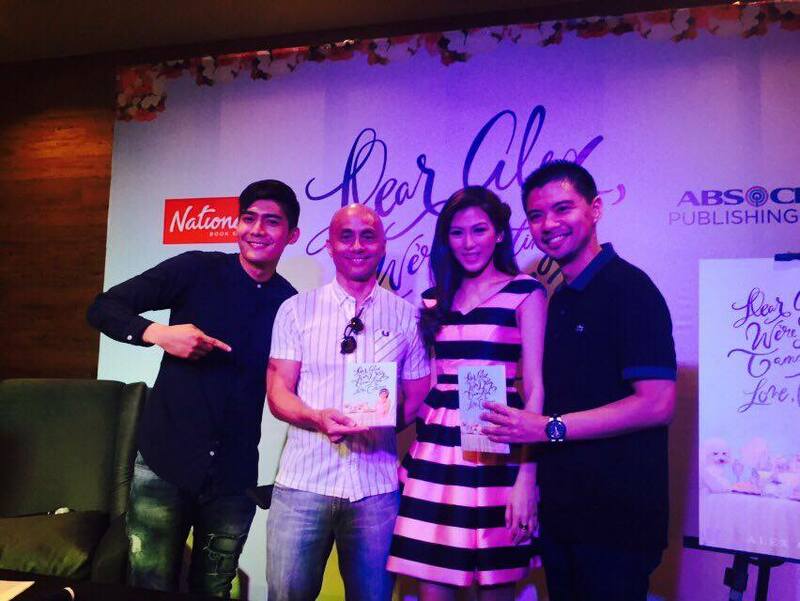 Fans braved the hot summer weather just to support Alex and her latest book. It was a fun event and some of the fans even got the chance to ask love advice from Alex. "Perfect date for me ... yun wala masyado effort when you go out," says Alex. It means, you can be who you are and wear what you want without thinking if your date will like you or not. 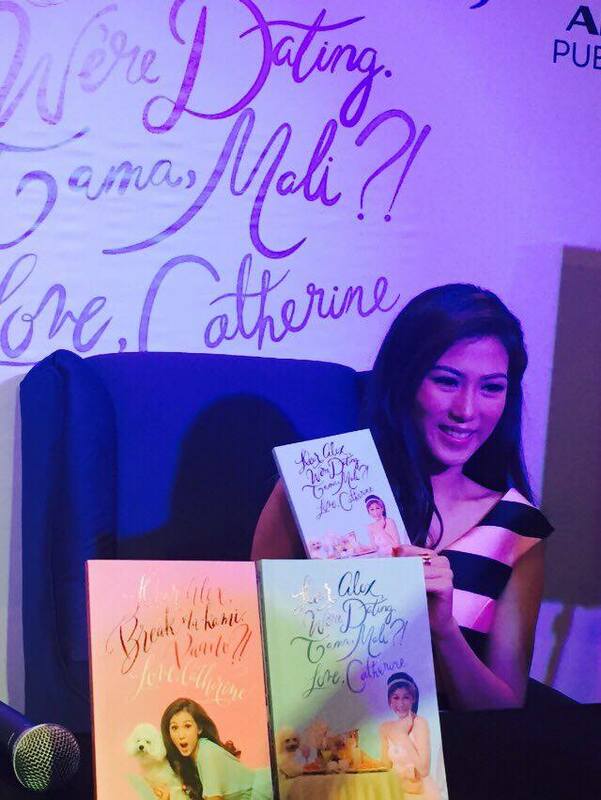 The books is published by ABS-CBN. Alex is a part of ABS-CBN list of authors that include: Senator Mirriam Defensor Santiago, Georgina Wilson, Solenn Heussaff, Ramon Bautista, and Juan Miguel Severo. Dear Alex, We're Dating. Tama, Mali?! Love, Catherine is available in all National Bookstore outlets nationwide and cost P195.